Anthelme Trimolet (Anthelme Claude Honoré Trimolet, born 8 May 1798, Lyon – died 17 December 1866, Lyon) from the Musée des Beaux-Arts de Lyon. I have stared at this painting for quite some time. There is a lot to unpack from this one if you have any interest in hand tools. 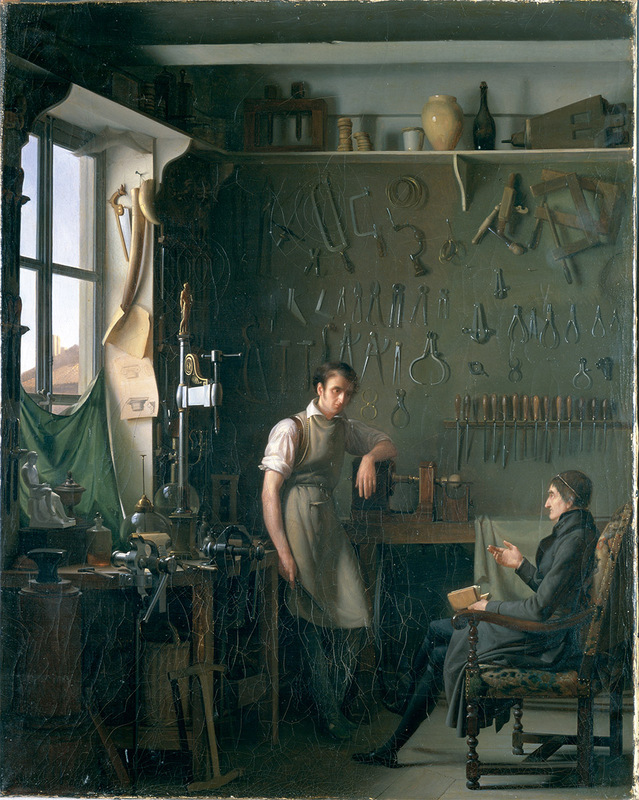 This image is of a very organized workshop of a master craftsman plying his trade in the early 19th century. I feel he is consulting with a client about a commission they are undertaking and discussing the finer details. Click the image for a larger version and enjoy.